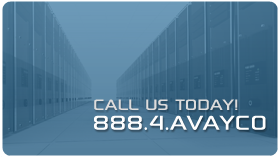 From planning to full deployment of your secured network system contact Avayco. Commercial surveillance systems and camera installation provided by Avayco. Remotely monitor your home or business through your smartphone from anywhere in the world. Avayco security systems is one of the leading security systems providers and surveillance camera installers based in Glendale, CA. We install surveillance camera systems for commercial businesses and private residential homes. Among other services, we provide network solutions and security systems compliance. Browse thorough the services provided by us and let us know if we can help. "My apartment building needed security fast as the parking lot faced an alley and tenant cars were vandalized. I contacted Avayco Security Systems and got the best quote for 8-camera installation. They did a great job. Thank you." Avayco Security Systems provides security systems and surveillance camera installation to commercial and residential customers.